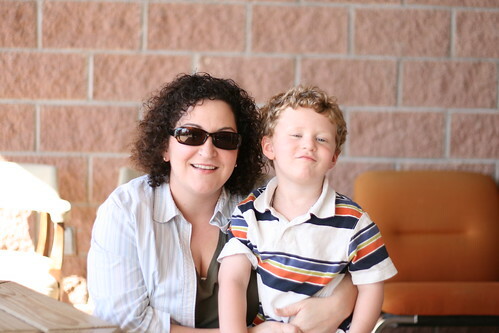 Blowing the dust off this blog…. Sometimes people judge you for what’s on the outside instead of what’s on the inside. Standing up for what is right is always a harder choice than doing what’s easy. There is an invisible force always pushing you to go with the crowd. No matter how hard you try, some people are just not going to like you and that’s ok.
You don’t have to change yourself or compromise your principles just to please people. The only people who have the power to hurt you are the ones you allow to do so. You should treasure your friends, defend them fiercely, and you should express gratitude for them in as many ways as you can. A relationship that makes you feel bad all the time is not worth maintaining. If you make all your decisions in fear that the other person will leave, then you’re not in a healthy relationship. You can never know enough and you should never stop learning. It’s ok to learn new information and let it change what you think is true. It’s ok to not know things. It’s smart to ask people who know more than you. The idea of “choice” terrifies many people. And I mean any choice – how to create a family, how to dress, how to worship (or not worship), how to eat, how to think, how to BE – can cause anger and panic in others. One human being isn’t inherently better or more valuable than any other human being but a lot of people think that. So many things I’ve learned and yet no end to the things I don’t yet know. And although I’m not anywhere close to giving up, I know that it’s quite likely I’ve got less time than most people. I do not believe in god(s) but I try my best to live my life as if it doesn’t matter if a god or many gods exist. If I do what is right as much as I can, if I do what is good as much as I can, if I do what is just as much as I can, if I do what is merciful as much as I can, then if one day I have to defend my life, it should be enough that I did my best to make things better than they were before I came along. I also know I’m not perfect and there are many, many days that I’m not as good a person as I strive to be. But I try. I learned that when people say ugly things, they are saying more about themselves than they are about you. What did Hagrid say when Draco insulted Hermione? He reminded her that she’s smart and talented. He told her, “Don’t you think on it one minute.” I am strong enough to move through the world without fear, to march to the beat of my own drummer, to do what I believe is right, and if this displeases anyone, I’ll not think on it for a minute. 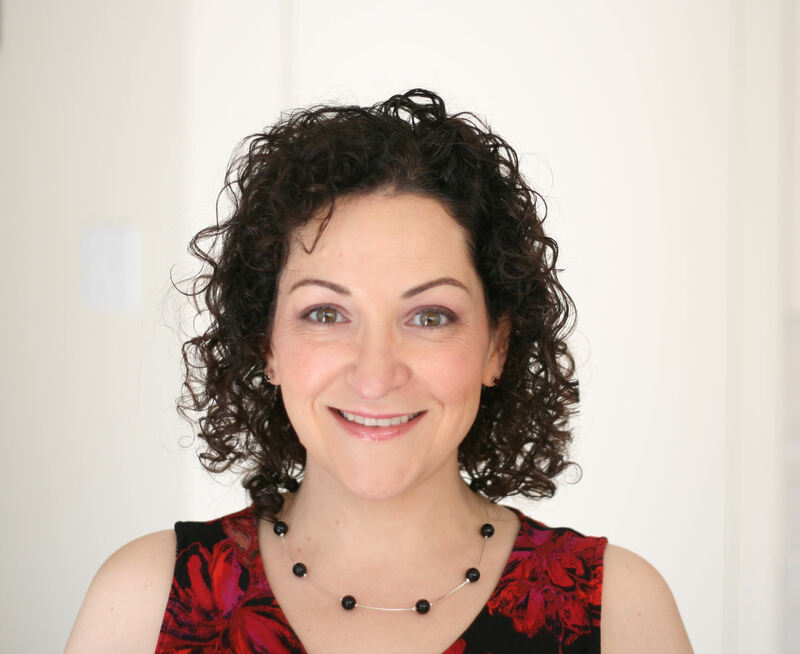 Most people who know me know I’ve been undergoing treatment for adrenal cancer. 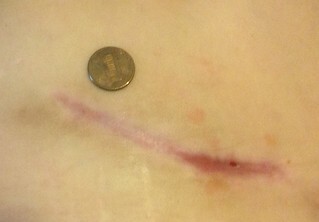 Had my first surgery June 1st where they removed a 710 gram tumor. That is nearly a pound. After that they ablated a lesion on my liver and took out a third of my right lung. Now I’m doing oral chemotherapy as a precaution. I’m doing ever so much better now. Fair warning! This next part is a little gross. Please leave if you don’t like icky talk or semi-gross pics. 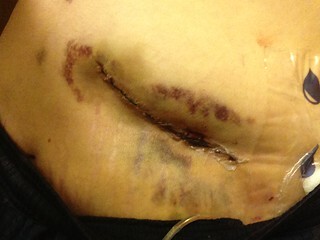 A couple of weeks after my first big surgery, my incision opened a little and started draining copious amounts of fluid. I went to the ER and while this wasn’t ideal, they said it wasn’t necessarily bad and that I should keep gauze on it and change it frequently and the incision would close by itself. I didn’t know how as I had a gaping two inch hole in my side but it didn’t hurt so I stocked up on gauze and micropore tape and moved along. It has taken all summer and into fall for the hole to close but it looks like this is almost done. I’ll be able to swim again! Today, 24 September. I’ve got maybe a couple of days left before it’s completely closed. Easy snack cake that is incredibly chocolaty. Bananas add moisture but the cake does not taste like bananas at all. Preheat oven to 350 degrees. Grease a 9×13 baking pan with either with butter or nonstick spray. Do not flour the pan. Combine sugar, flour, cocoa powder, baking powder, baking soda, and salt in a bowl and set aside. In another large bowl, whisk together eggs, bananas, water, milk, oil, and vanilla. Add the dry ingredients to the wet ingredients and stir until combined. The batter will be somewhat thin. Pour into the pan and bake for 35 – 40 minutes or until a toothpick comes out clean. Remove and cool before serving. I have made this cake topped with whipped chocolate ganache but it’s equally good and a little less sweet topped with whipped cream and drizzled with chocolate sauce. I prefer dark chocolate so I usually use Hershey’s Special Dark Cocoa Powder. This makes the cake dark, almost black, and if you’re a dark chocolate fan, it’s a little piece of heaven. You can use whatever cocoa powder you like; the cake will be very chocolaty no matter what variety of cocoa powder you use. This is not a barely-chocolate cake like Texas sheet cake. It is a chocolate punch in the face and it’s glorious. One chapter in our lives has ended. 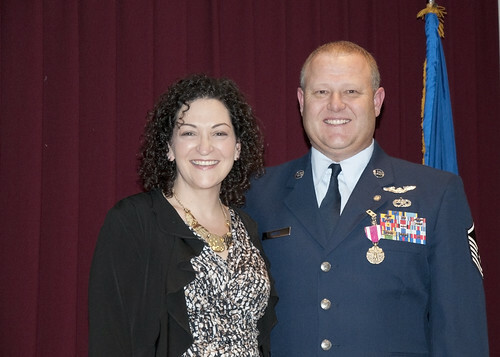 My husband retired from the Air Force in February after 22 years of active service. Being an Air Force family was an adventure we wouldn’t trade for the world but I am glad that we will have my husband back full-time. We counted up the time he’d been gone and it turned out he spent just shy of eight years away from home. Eight of our eighteen years of marriage. It’s a little surreal to think we’ll never have to cycle through the emotions that come before, during, and after a deployment. We are all so proud of him. His ceremony was in November 2012 and his last day on active duty was January 31, 2013. He had been looking for a job pretty much all over the southwest and decided to take a job-hunting trip in February back to his hometown area of Midland, Texas to meet with some people face-to-face. We thought he’d be gone a few weeks. But to our surprise and delight, he got a great offer less than an hour after he landed and in spite of taking other meetings, the first offer was the best. They asked, “Can you start Tuesday?” which really threw a wrench in the works because he thought he’d be back in California waiting to hear about a job. We had to decide fast and with the end of his active duty pay looming and the honestly awesome job offer, it seemed like the smartest thing to say yes. His mom welcomed him home (temporarily) and he started his new job in mid-February. He started looking for houses and I started getting ready to move. We have put in a couple of offers on two different houses but for one reason or another (roof is shot, foundation is cracked, property title can’t be insured, etc) we haven’t finalized any permanent housing. The school year is ending soon so we went with plan B which was to rent a temporary apartment in Midland so we can reunite the family after what we hope will be our last separation and look for a house together. I freely confess I’m not super-excited about moving back to west Texas but I am looking forward to being close to his family. My own parents are considering a retirement move to central Texas so we will be close enough to visit them often and my kids will get something I never had as a second-generation military brat: all their grandparents will be close enough to participate in their lives on a regular basis. I see this like any other assignment. It is what you make of it and you can choose to be happy and find things you like or you can choose to be miserable and grouse all the time. I’d rather bloom where I’m planted and be happy. It is not going to be easy living out of my element culturally but I’m already looking for ways to find my own community. A friend of mine recommended I get involved with the UU congregation in Midland because she is quite certain that I’ll find an oasis of like-minded people where I won’t feel as disconnected as I did in Abilene. I’ve also gotten in touch with the Midland County Democrats and hope to stay active politically with them. They told me there aren’t enough of them to make a separate women’s group which is just fine. We will turn Texas blue sooner or later. Moving day is a month away and I still have so much to do but I know it will get done. It always does. Besides prepping the house and our things for the move, I’ve got a list of things in the city that we haven’t done that I’m trying to squeeze in before we go. Russ is flying out here the day after the packers leave to load the little u-haul with what we’re taking to the apartment and we’ll spend the next few days driving back across country with a stop in Tucson to visit my co-workers whom I haven’t seen since 2007. I have a new boss and an old teammate I’ve never met in person, not to mention the whole company moved to an office I’ve never visited. I’m looking forward to seeing the people I knew and meeting the new folks face to face. Come July 1st I’ll be officially a transplanted Texan! 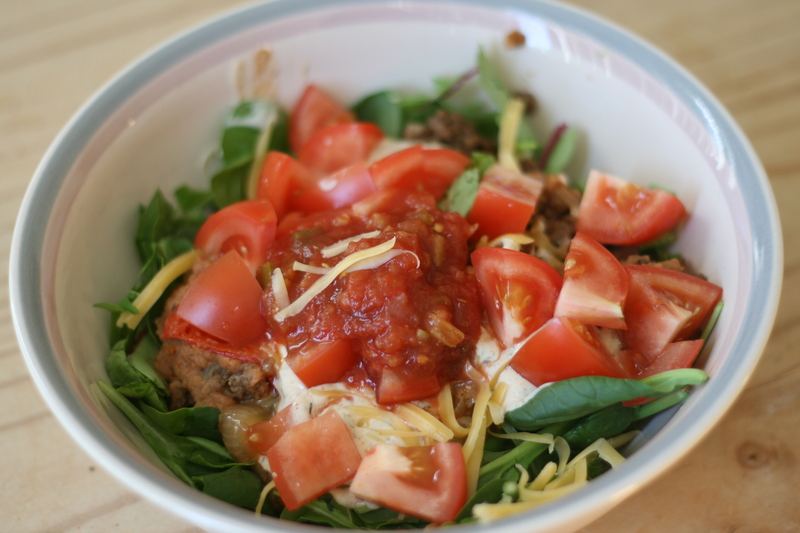 I’m always on the lookout for easy and low-point meals that can be prepared quickly and enjoyed by everyone in the family whether they are on Weight Watchers or not. This is a recreation of a dish I had out at lunch which is simple, delicious, and surprisingly low in points. 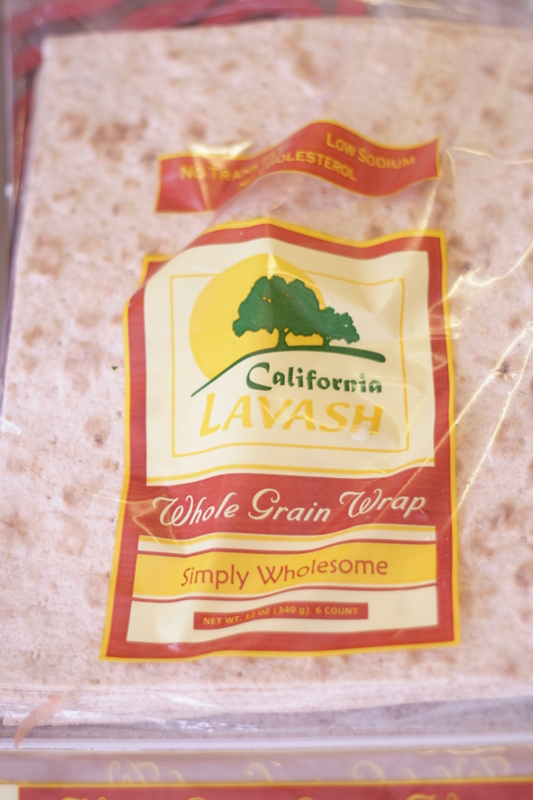 The crust is a thin whole wheat lavash flatbread that comes in at 1 point for half the bread. 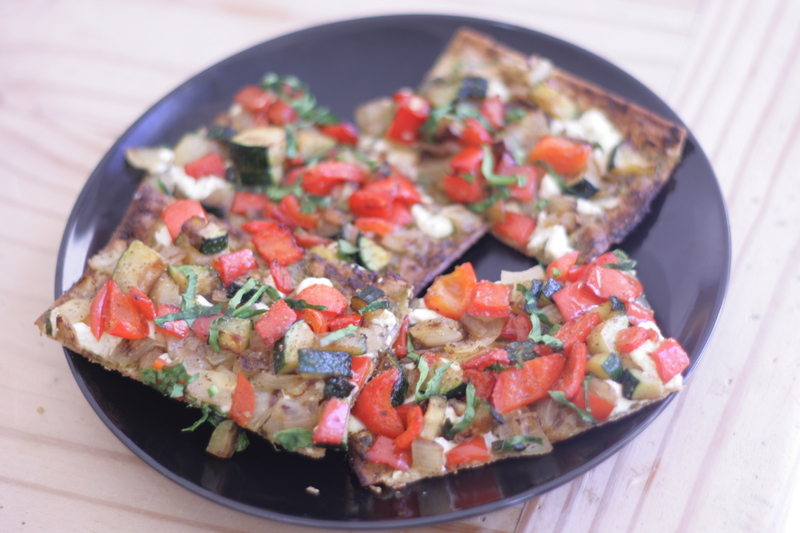 If you’re really hungry and have the points, the whole piece of flatbread (about 9″ x 12″) rounds up to three points. I usually split the pizza with my husband and pair it with a nice big salad. Preheat a pizza stone or a baking sheet in the oven to 425 degrees. 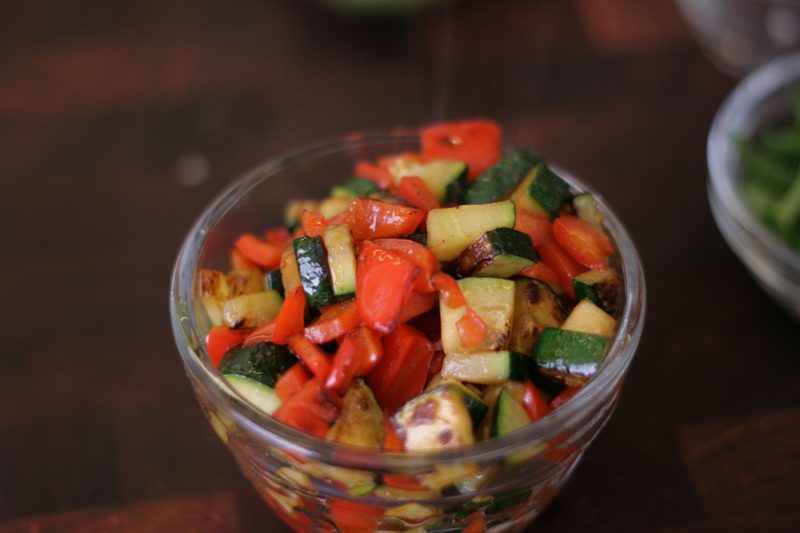 While that is preheating, grill the vegetables quickly in a skillet with one tsp of the olive oil. You want them browned, not burned, and crisp-tender. Make sure the pan is wicked hot before you put the veg in there. 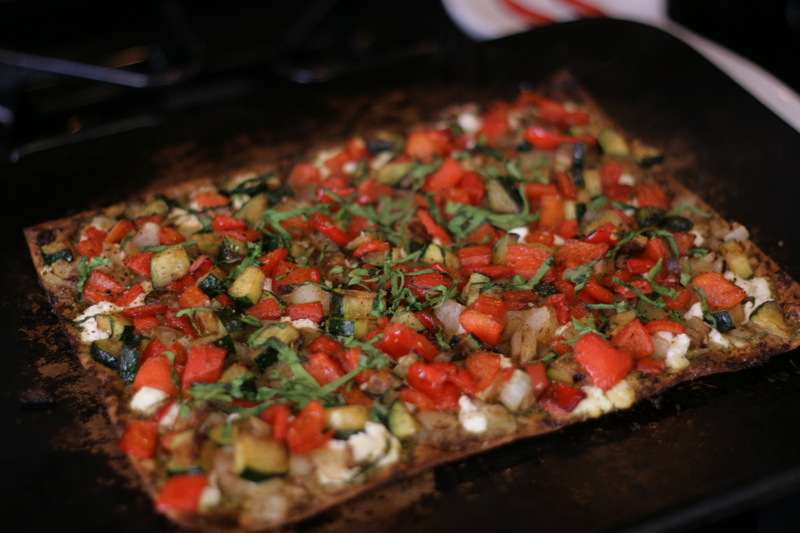 When the vegetables look nice and browned, put them aside until you’re ready to top the pizza. Take the remaining 2 tsp of olive oil and brush both sides of the lavash lightly with the oil. You can also use olive oil spray but using real olive oil will help get in a healthy oil for the day. Spread the two tablespoons of pesto evenly across the bread and crumble the goat cheese on top. 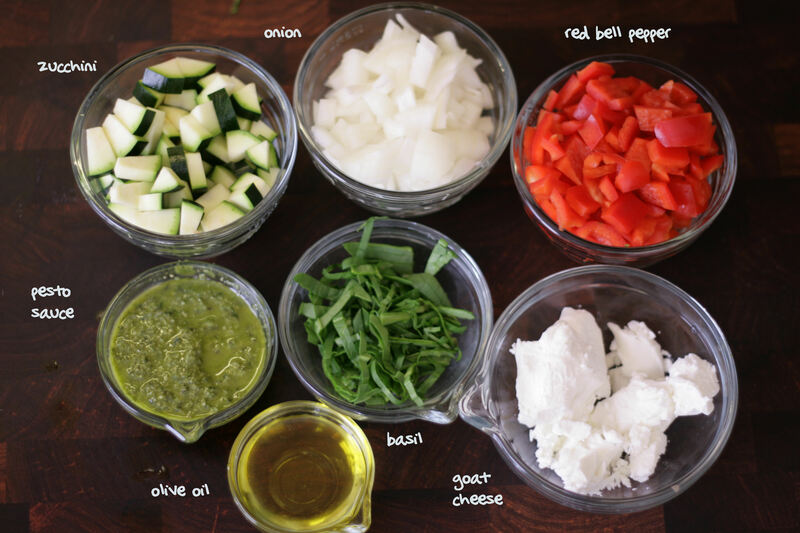 Distribute the vegetables and sprinkle the sliced basil across the pizza. Transfer the pizza to the hot pizza stone and cook for about 8 – 10 minutes. This bread is so thin that it doesn’t take long at all so watch the pizza closely to prevent incineration. When the edges of the bread are browned take it out and let it cool before slicing. Feel free to use whatever ingredients you fancy. Chopped sun-dried tomatoes, bits of chicken or ham, pepperonis, mushrooms, asparagus, any cheeses you want to try. Just keep the pointy ingredients under control. This pizza also meets several good health guidelines: 2 healthy oils (pesto sauce and olive oil), 1 dairy serving (goat cheese), 1.5 fruit/vegetable checks. You want the veg to be nice and browned, not burnt. It’s truly delicious not just for a points-friendly meal, but delicious, period. Enjoy! I’ve been on Weight Watchers just over a year and I’ve lost a total of 55 lbs. I’m really pleased with my progress and now that I’m less than 10 lbs to goal, it hardly seems real. It’s been a long while since I updated but I wanted to get this all down someplace so if I ever feel like falling off the wagon, I can come back and look at it all and hopefully buck up and stay on track. I hate hate hate the phrase ‘weight loss journey’ so I’m never going to call it that. 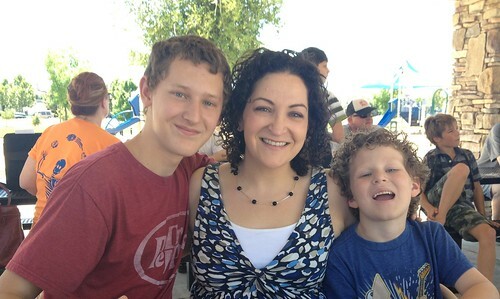 For our family, it really has been a sea change in the way we eat and live. I don’t even buy food the same way I used to. This is where I started, a size 22/24 and 235 lbs. I am pretty sure this photo was taken sometime in 2007. The Omnivore’s Dilemma is what really got me motivated to make serious changes in how I fed my family. We joined a CSA, stopped buying commercial meats, cleared the pantry of every food with HFCS and most other processed foods. 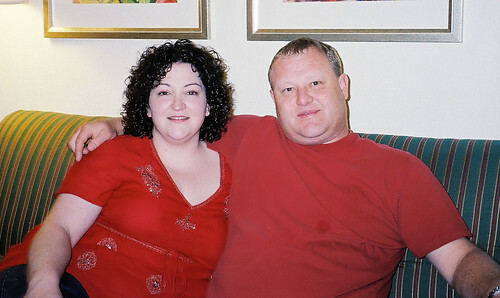 I started exercising some and lost about twenty pounds.This was taken in October 2009. But my weight loss stalled. I wasn’t gaining, thankfully, but I was no longer seeing the scale move downward. I started working from home after we moved to Texas, couldn’t seem to fit working out into my new schedule, and I was moving less than I ever had. We moved again, this time to California.The new house was two stories and when I got winded (and dizzy!) climbing the stairs in my own house, I knew it was time to get serious. I joined a gym and started working out, lifting weights and doing a couch to 5k program on the treadmill. I realized after a couple of months that in order to reach the fitness goals I set for myself, I was going to have to lose actual pounds, serious weight, or I’d never be able to do that pull-up I wanted to do. I joined Weight Watchers in October of 2011. 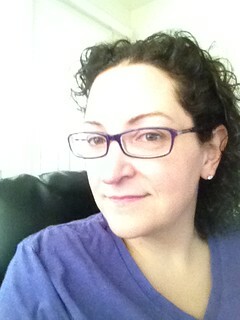 Ten months later, I have lost 43 more pounds and am finally out of the plus-sized category. I am still considered overweight and I have about twenty more pounds to go before I reach my goal but I feel so much better. I probably won’t ever be the thinnest girl in the room and I have accepted that my body will always have flaws and parts that are squishier than I’d like but I can do so much more than I could a year ago. I used to sit on my couch and wish I weighed less. “I’d be happy if I could be 180. That’s not thin but it would be great.” Now I’m 169 and still dropping and the truth is that you can’t sit and wish. You have to get off the couch and do it.